Living in the area where you also work affords an opportunity to know your community, its people, police officers, public officials. When you have a legal issue that requires an experienced attorney you want to make sure that those you employ possess the local knowledge that is essential to effective representation. We have lived and worked in Wilmington and southeastern North Carolina our whole lives and know the legal landscape and environment. If you would like to discuss your criminal defense case with experienced lawyers who are involved members of the community they serve, contact us today. Local call 910-338-4900 or toll free: 866-677-8525. Our attorneys have over three decades of combined experience getting results for our clients. Woody White brings a proven track record and earned reputation for obtaining results. We are a full-service law firm that is dedicated to helping you get the results you are relying on. 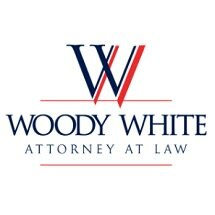 Attorney Woody White grew up in and around Wilmington, North Carolina. Having done so, he possess a unique understanding of the community’s people and their legal needs. He knows the local courts and has worked hard to earn their reputation for getting positive results for his clients. Experience. Dedication. Results. At the law firm of Woody White Law PLLC, our services in criminal defense are professional, personalized and, above all, effective. "....I was truly impressed with his dedication to my case, and pleasantly surprised by the openness and frequency of communication as things developed...."